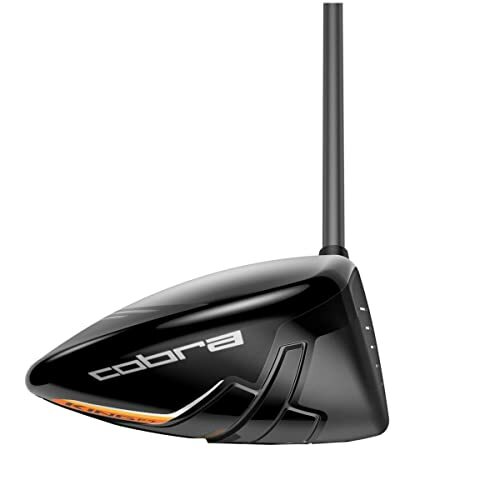 Cobra is always improving on their drivers every time they launch new ones. And they do this using customer feedback to ensure whatever they make pleases all golfers. Cobra KING F7 is an advancement of the KING F6, and it makes significant improvements in all aspects. 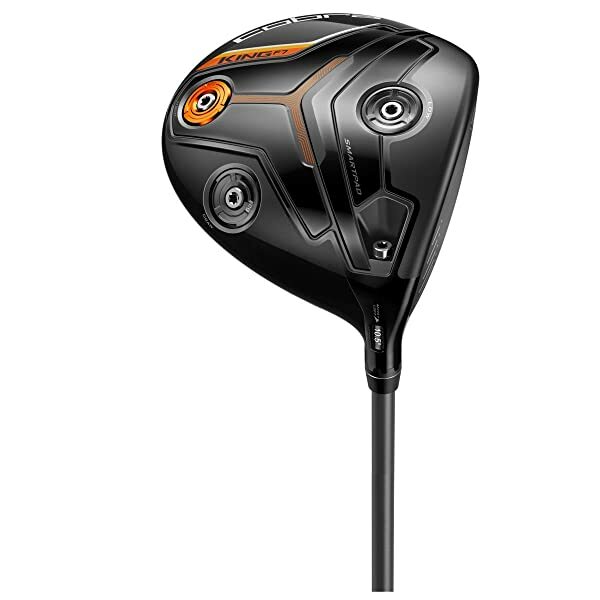 Cobra is always improving on their drivers every time they launch new ones. And they do this using customer feedback to ensure whatever they make pleases all golfers. Cobra KING F7 is an advancement of the KING F6, and it makes significant improvements in all aspects. This fantastic driver features a 3 Drivers-In-1 design that entails giving in an adjustable center of gravity, MYFLY8 technology with SMARTPAD, a forged Ti-811 E9 Face and an Extreme Carbon Fiber Crown. It also uses a graphite shaft that you can get in senior, regular, stiff and x-stiff flexes. 3 Drivers-In-1: When you get KING F7 it will be like buying three different drivers for the price of one which is a significant advantage when on the course. And this is thanks to the three different CG settings which are the back, front and heel. Extreme Carbon Fiber Crown: By using an Extreme Carbon Fiber for the crown, Cobra makes it up to 20% lighter and hence making it possible to redistribute the weight low and deep for maximum forgiveness and distances. MYFLY8 with SMARTPAD: MYFLY8 is one of the features that make Cobra drivers special. This technology or design makes it possible to adjust the loft settings so that you can get excellent launch conditions and trajectory. Forged Ti-811 E9 Face: This driver comes with a re-engineered titanium face that is thinner and hotter than many others to ensure that you get a large sweet zone across the clubface and fast ball speeds. Shaft: KING F7 uses a graphite shaft that is available in the four main driver flexes which are senior, regular, stiff and x-stiff. The lighter crown allows for more efficient weight distribution for extreme forgiveness and distance. It also has some adjustable loft settings to make it easy to manage the trajectory. The KING F7 acts like three drivers in one thanks to the three different center of gravity settings. Cobra gives it a reengineered titanium face to create a large sweet spot and fast ball speeds. It is a user-friendly driver that will be very useful for mid-handicappers and some high handicappers. This driver also includes a GPS app that will help you measure the distances. The Cobra Connect Sensor on the grip of the KING F7 is also handy for tracking the driver statistics. It's a relatively new driver, and so one cannot be sure with the durability and performance in the long run. The price is on the higher end for some golfers. This driver will not be very appealing to the low handicappers. Cobra is always outdoing itself when it comes to the manufacture of drivers. The KING F7 builds on the success of the KING F6, and it improves some of its best features while also rectifying its shortcomings. It is one of the most forgiving drivers for mid-handicapper, and it also has a massive sweet spot that is hard to miss. There are also several other great features and technologies that will ensure that you always get some impressive distances and also enjoy using this driver. But the forgiveness and the fantastic feel of this club will be enough to improve your performance and experience on the course. And even if you consider the few demerits, this is still a top-notch driver.